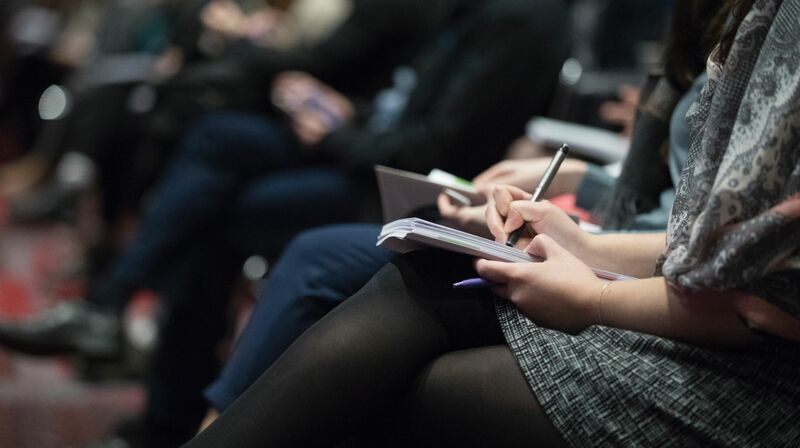 Having pioneered many of the industry’s best practices, our employees are frequent guest speakers and presenters at a variety of industry events, meetings and conferences. Need an experienced speaker for your next industry event? Drop us a line using the form below. Presentations can be customized based on your company’s needs and requests, and will include valuable and actionable recommendations tailored to your organization. Topic: Michael Bongiovanni, General Manager - APAC, discussed ways for hoteliers to drive direct bookings and lower distribution costs. Topic: Jon Vecchiarelli, Business Development Executive, covered the state of the hospitality industry, key factors affecting the industry today, and built the case of why our industry must steer a bigger share of bookings toward the direct channel. Topic: Jennifer Alberts, Manager, Client Services, covered how to balance CRM data and Intent Data points to "make the most" of past, present, and future customer data to generate the highest number of direct bookings and ultimately reach their best guests. Topic: Sara O'Brien, Associate Director, Marketing, covered the important areas hoteliers should focus on when investing in digital technology and marketing initiatives in order to generate significantly more profitable bookings and decrease dependency on the OTAs. Topic: Sam Conley, Director of Business Development, and Jon Vecchiarelli, Business Development Executive, shared expertise on Smart Data Marketing and tapping into the traveler mindset through first party and intent data to close the 360-degree customer engagement, retention, and acquisition cycle. Topic: Jason Price, Executive Vice President presented to the UMass Hospitality & Tourism Management program with professor Rod Warnick and UMass Alumni at Sofitel. Topic: Jason Price, Executive Vice President and Akshay Ramanthan, Business Development Analyst presented on the role of consulting agencies in the hospitality industry. Topic: Sara O’Brien, Associate Director of Marketing and Garrick Lee, Senior Account Executive, Team Lead presented "Hospitality Digital Marketing & Technology Trends" for the Digital Marketing Strategies for Hospitality class. Topic: Jenny Jones, Senior Account Executive presented "Digital Marketing Plan Creation and Presentation" for the Digital Marketing Strategies for Hospitality class. Topic: Mariana Safer, Senior Vice President of Marketing presented "Digital Marketing Best Practices for Video Marketing and YouTube" for the Digital Marketing Strategies for Hospitality class. Speaker: Michael Bongiovanni, General Manager of Asia Pacific presented "How hoteliers can use social media to drive direct bookings". Topic: Jason Price, EVP, and Mariana Safer, SVP of Marketing at HEBS Digital, presented a keynote presentation on top digital trends and the Maestro members survey results, as well as a workshop, "The Smart Hotelier's Guide to 2017 Digital Marketing and Technology Budget Planning." Topic: Sara O'Brien, Associate Director of Marketing and Jon Vecchiarelli, Business Development Executive at HEBS Digital, presented "The Smart Hotelier's Guide to the 2017 Digital Technology and Marketing Budget." Topic: Sara O'Brien, Associate Director of Marketing and Sam Conley, Director of Business Development at HEBS Digital, presented, "Action Plan for Branded Hotels: Generating Revenues Above and Beyond the Brand." Topic: Max Starkov, Mariana Safer, and Brent Harris presented, "The Hotelier’s Mid-Year Action Plan: Optimize 2016 Digital Marketing Strategy." The workshop featured actionable recommendations and innovative strategies to maximize revenues from the direct online channel, lower your cost of sale, shift share away from the OTAs, and steal market share from the competition. Topic: Mariana Safer, SVP of Marketing at HEBS Digital, along with Tony Aslanian, Director of Sales and Marketing, presented, "Content Marketing: Storytelling with a Conversion-Minded Approach". Margaret Mastrogiacomo, Sr. Director, Creative Strategy and Garrick Lee, Senior Account Executive, presented during the Opening General Session, which highlighted 3 of the Platinum Adrian Awards in the digital category. Margaret and Garrick presented the Hotel Pennsylvania "Selfie in the City" Campaign, and how it allowed the hotel to connect with their guests and drive direct bookings, and capture new customers. Topic: Max Starkov, President & CEO, and Brent Harris, Senior Business Development Manager, presented "Action Plan for Branded Hotels: Generating Revenues Above and Beyond the Brand." The presentation included how to capitalize on the advantages that come with being part of a major brand, as well as how to take advantage of revenue opportunities that go above and beyond what the brand provides. Topic: Jason Price, Executive Vice President, and Akshay Ramanathan, Business Development Analyst, spoke to a class of graduate students regarding the importance of tracking, measuring, and analyzing data in the age of modern marketing. Topic: Jason Price, Executive Vice President, spoke at a workshop on Metasearch Bid Management, and shared best practices on working with suppliers, approaches to optimizing metasearch campaign performance, and the value of a dynamic bidding marketplace.